An excellent effort by all three teams to make the final and in particular to the Year 7/8 Boys Basketball and Year 7 – 9 Girls Touch Rugby for winning the final and securing the CAS Title. The Year 7/8 Boys Basketball team had a very tight tussle in the 1st half but were able to turn it on in the 2nd half with a focus on team basketball and eventually won by 10 points. 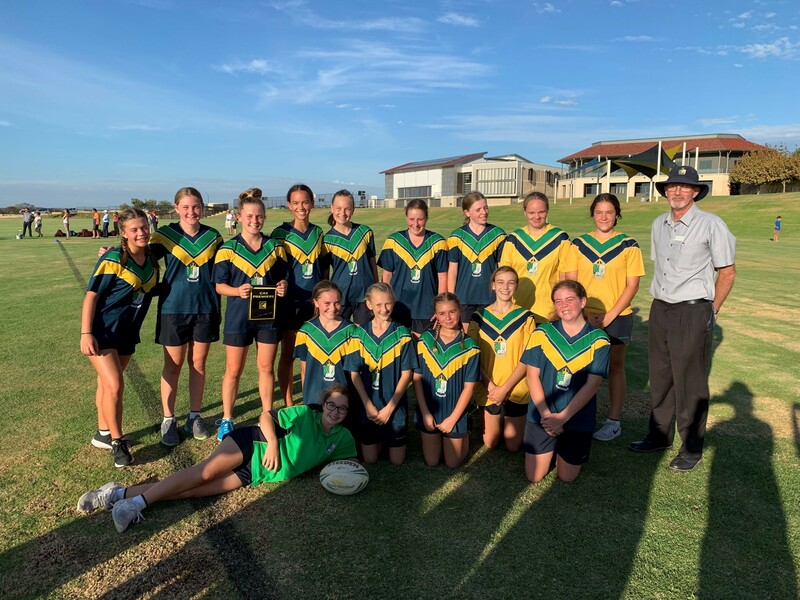 The Year 7 – 9 Girls Touch team had a small lead at half time but got on top in the 2nd half and ran away with the game to win 12 tries to 4. The Senior Girls Basketball faced a very tough opposition and could not match their intensity or experience, the effort was there but ultimately, they lost. Despite this they will progress through to the Associated Catholic Colleges Basketball Championship elimination competition, thier first match will be played on Tuesday the 30th April verses Sacred Heart College at Sacred Heart.